This self-paced book contains information applicable in many different training situations such as groups, one-on-one, internal, or external training sessions. 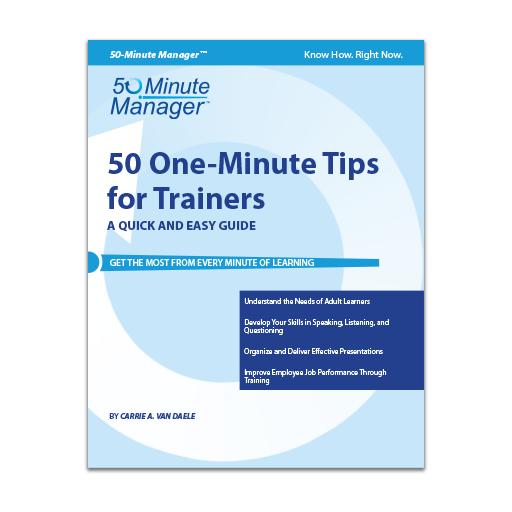 It examines the purpose and importance of training and development programs, presenting clearly the fifty most important tips to consider before any training session. This book is full of great information for a trainer operating independently, or just entering the field. Everything from how you should arrange the room to how to react to your audience.